THIS PHOTO FROM MARION GOLDENBERG, CLASS OF '54. 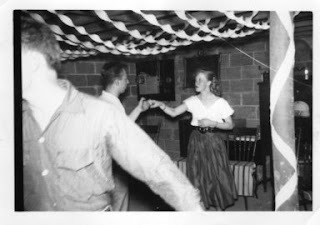 THE YOUNG MAN IN THE PHOTO DANCING WITH JANET NILSEN WAS ONLY IDENTIFIED AS "TOMMY." THIS WAS A 1950'S PARTY IN THE GOLDENBERG BASEMENT. 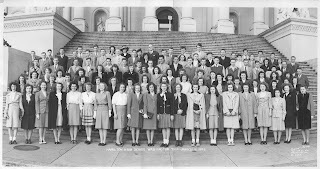 HERE IS A CONTEMPORARY PHOTO FROM MARION GOLDENBERG, HHS '54, ANOTHER "CLASS WITH CLASS" DURING HAMILTON 'S GOLDEN YEARS. 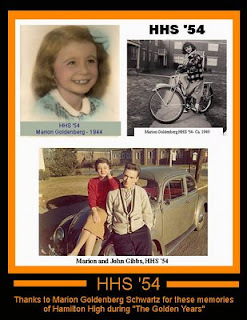 HERE ARE A FEW PHOTOS FROM MARION GOLDENBERG SCHWARTZ, HHS '54. THE PHOTO FROM 1949 SHOWS MARION SITTING ON HER SCHWINN GIRL'S BICYCLE. THOSE SCHWINN'S WERE THE CADILLACS OF THE BICYCLE WORLD BACK IN THE 40'S AND 50'S, BEFORE THOSE SKINNY TIRED "RACING" BIKES CAME ON THE SCENE. 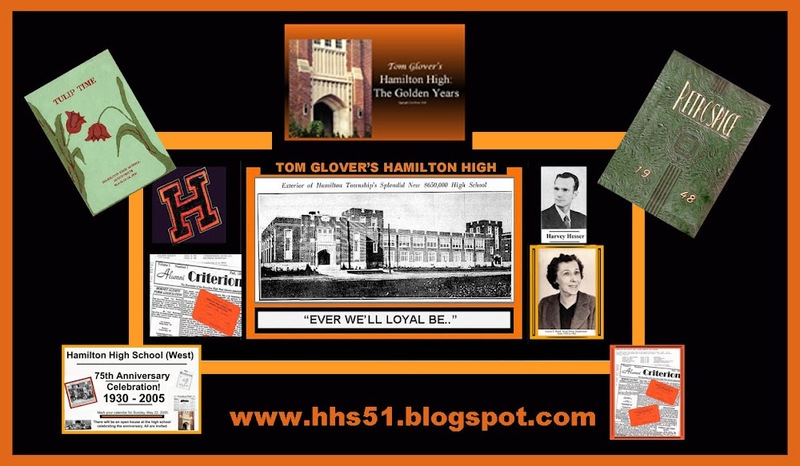 THANKS FOR THE PHOTOS, MARION, THEY ARE A WELCOME ADDITION TO THE HHS WEBSITE, CLASS OF '54. THANKS TO LEA TERRY FOR THIS PHOTO. 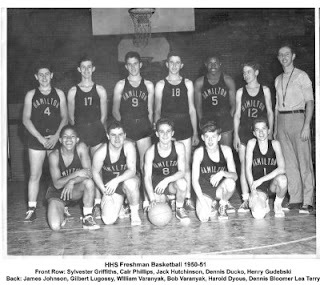 THESE GENTLEMEN WENT ON TO BECOME THE CLASS OF '54 AT HHS. I HAVE RECEIVED A NUMBER OF COMMENTS ON THIS HHS WEBSITE VIA EMAIL FROM THE GUESTBOOK WEBMASTER. UNFORTUNATELY, THE WRITERS DIDN'T LEAVE THEIR EMAIL ADDRESS FOR A REPLY. I APPRECIATE THE POSITIVE COMMENTS. IF YOU WANT A REPLY WHEN YOU SIGN THE GUESTBOOK, PLEASE MAKE YOUR EMAIL ADDRESS AS PART OF THE MESSAGE. 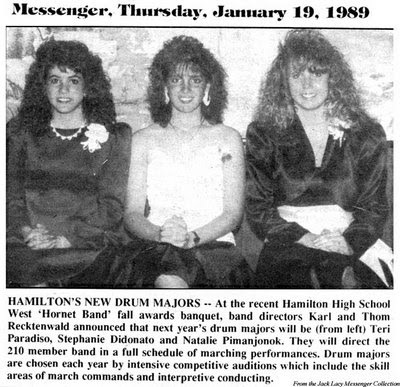 LINDA FROM THE CLASS OF '73 WOULD LIKE TO KNOW OF ANY PLANS FOR THE 35TH REUNION. IF ANYONE HAS INFO, PLEASE CONTACT ME AND I WILL POST IT. 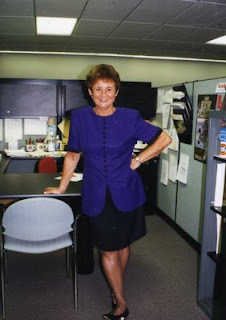 MARION G. FROM YARDLEY, THANK YOU FOR THE EMAIL. I APPRECIATE YOUR POSITIVE COMMENTS, AND HOPE YOU WILL BE A REGULAR VISITOR.